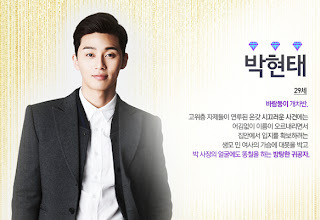 Beatus Corner : [Drama 2013] I Summon You, Gold! 금 나와라, 뚝딱! Title: I Summon You, Gold! 금 나와라, 뚝딱! A drama which draws the bluff and fact of the middle class which desires the high class. It will talk about the reality of a middle class family and their money problems, as well as love and marriage. Mong Hee and Yoo Na (both played by Han Ji Hye) are two different woman who look exactly the same. Mong Hee, is street salesperson who is cheerful and hopeful. She dreams of being a jewelry designer. On the other hand, Yoo Na is a cold modern woman and daughter of a rich family. 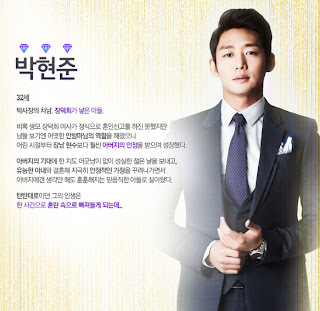 Park Hyun Soo (Yun Jung Hoon) is the CEO of a large jewelry company, owned by his parents while constantly compete with his brother, Park Hyun Joon (Lee Tae Sung), for the CEO position. Park Hyun Soo is going through a divorce from his ex-wife, Yoo Na. 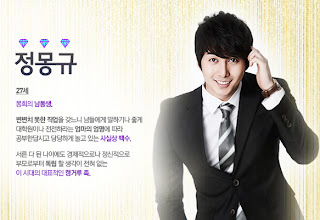 He then will meet and fall in love with Mong Hee who looks exactly like his ex-wife.